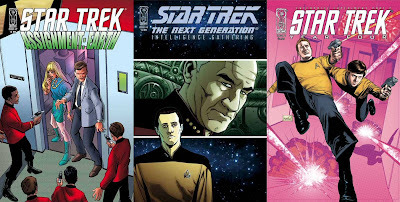 Also out this week is the second issue of Assignment: Earth, and for those who couldn't get them last week, the final issue of Intelligence Gathering and the second of The Enterprise Experiment. I love the New Frontier comic! Peter David is perhaps my most favorite writer and makes Star Trek fun again. The last page....is that another mirror universe thingy AGAIN? 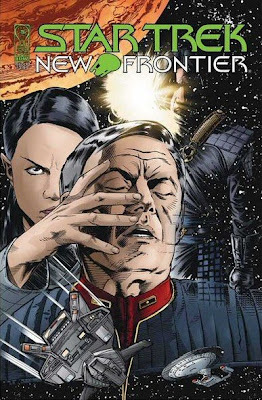 C'mon, while the mirror universe is great...this series didn't need it. Just the antics of Calhoun and company is good enough for me!